This is also known as the Riding outfit. 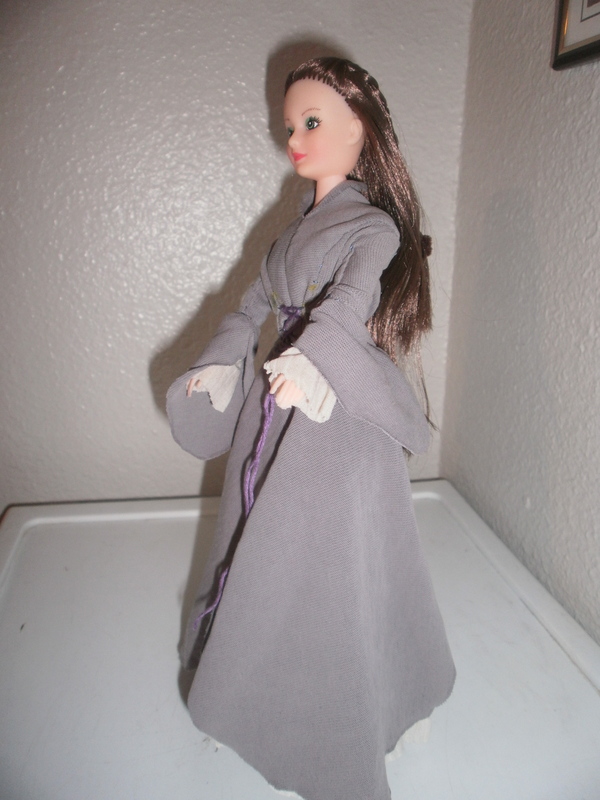 Arwen wears this pretty and practical “Lord of the Rings” dress when she saves Frodo from the Ringwraiths and brings him to Rivendell. 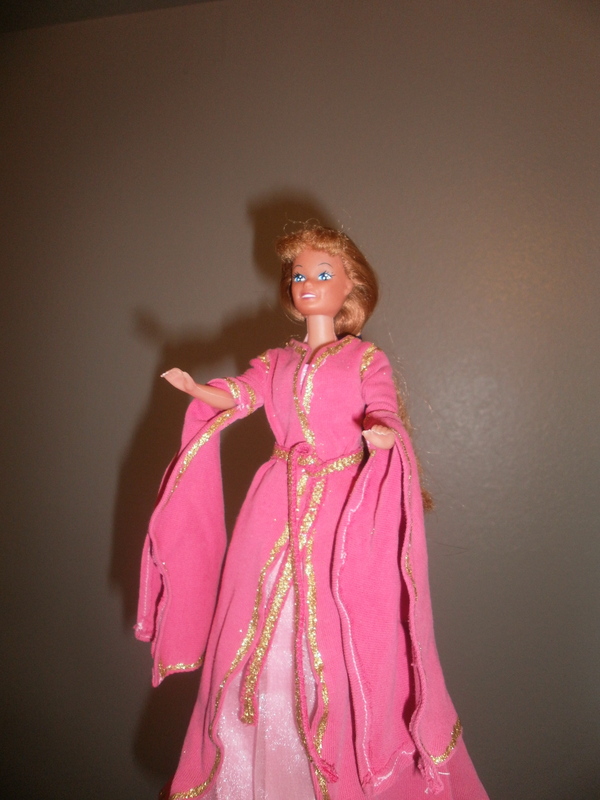 The princess seams are modified so the seam is at the shoulder. 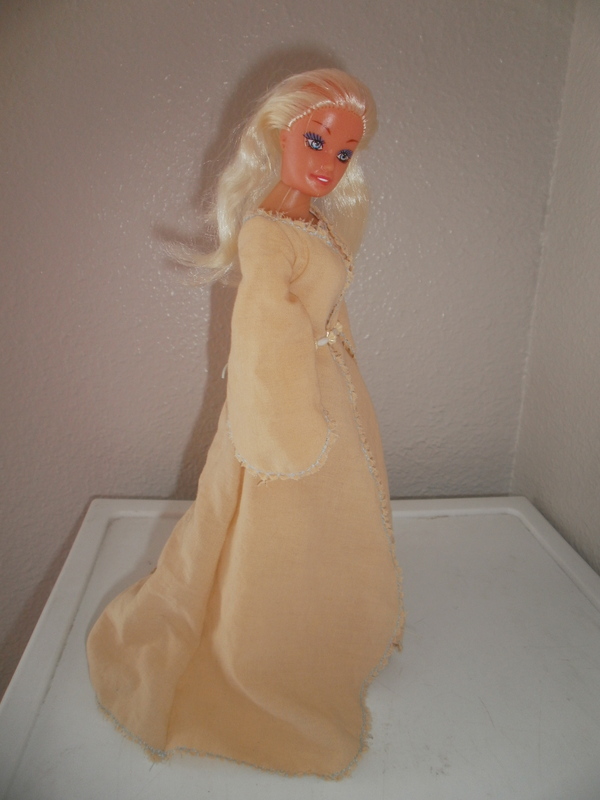 A seam runs down the front of the bodice and the dress pulls over the doll’s head. Embroidery floss was used for the laced ties in front, and there’s a ribbon sash in the back. 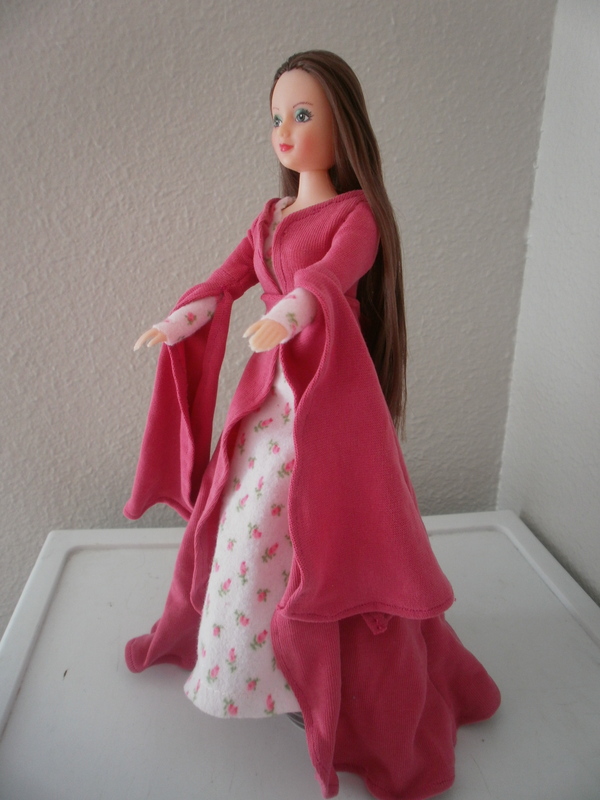 The coat sleeves are 2-piece, the lower part being petal wrapped. The skirts (my favorite part) are actually 2 petal shapes, slightly overlapping in front and back. 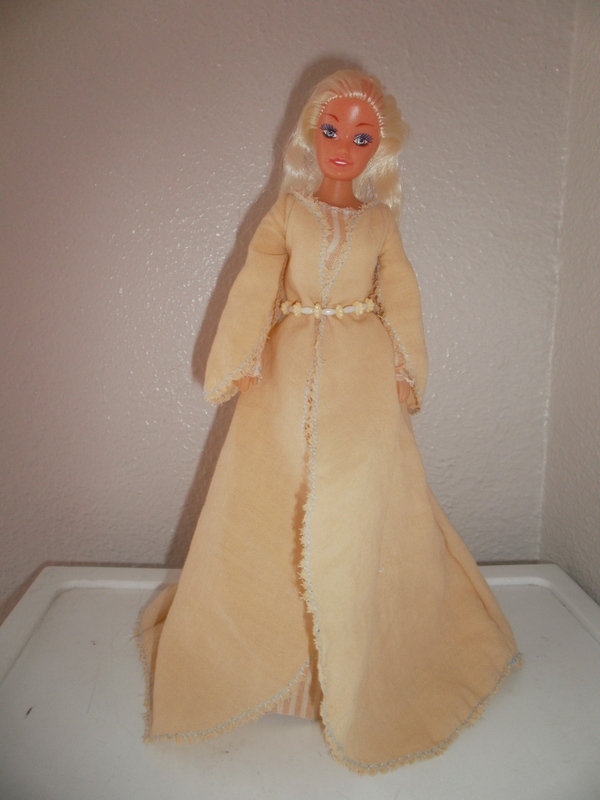 Attached to the main dress/coat are flared, white lower sleeves, and a white underskirt, that’s also split in front and back, (made from a pair of tights with a crinkle texture). Brown leggings are worn underneath. My first sale! 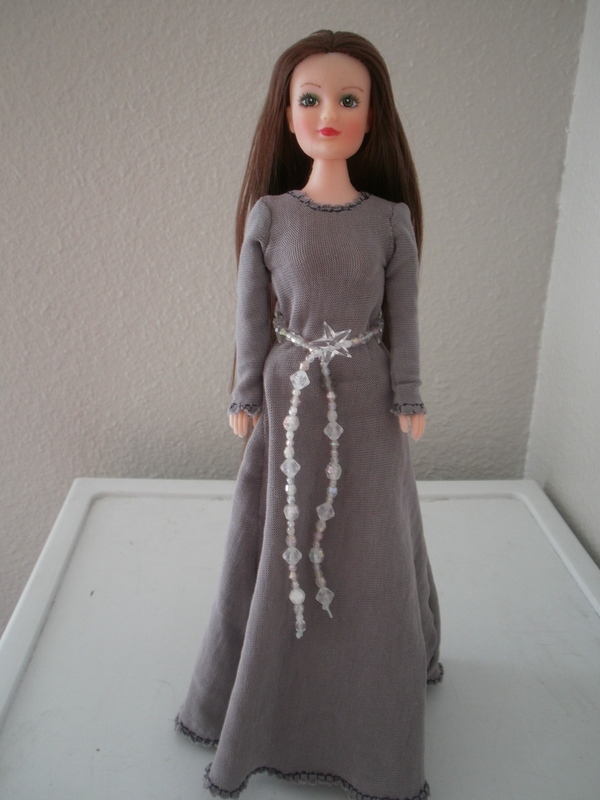 My little sister commissioned and bought this dress. 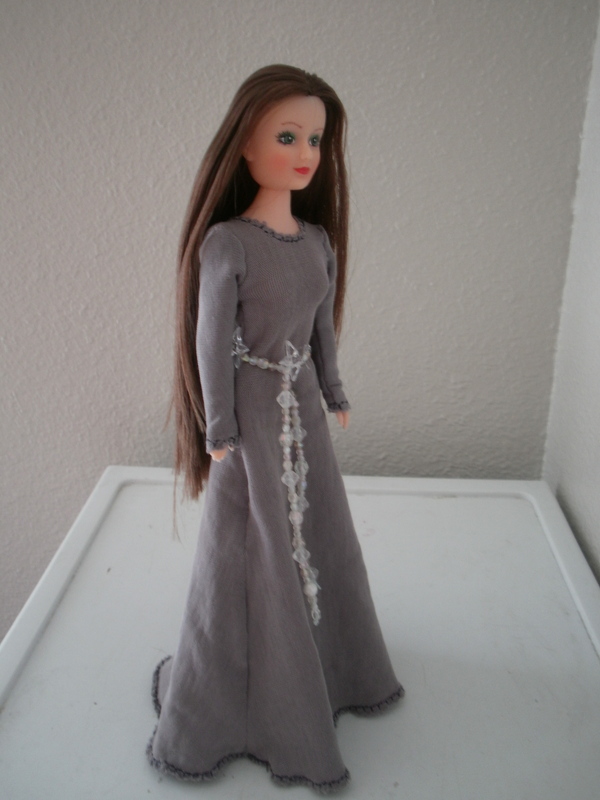 An elf lady in Rivendell (I think) wore it in the “Lord of the Rings” movie. 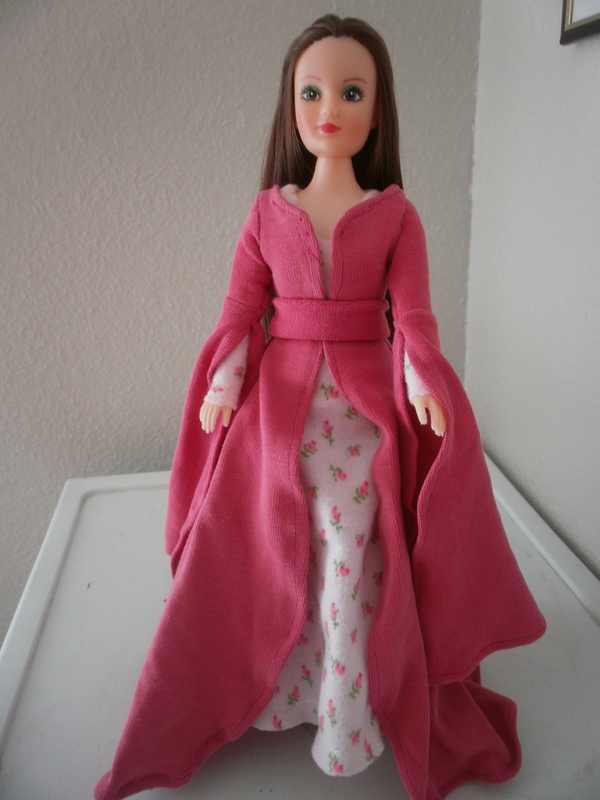 The coat is from the Rose dress pattern. The sleeves are interesting but pretty. There’s a striped underdress. My sister made the belt out of beads. 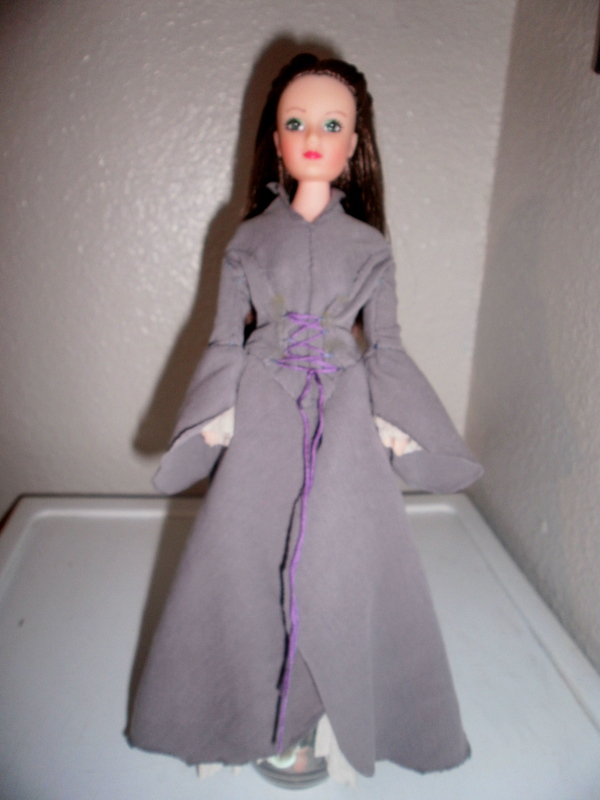 It’s made of the same fabric as the cloak on the Ranger doll is. It’s edged with this neat decorative stitch on our sewing machine…it’s like flower petals–pretty Elvish looking. I really like the way it makes the hem ripple. The belt is made of various crystal-looking beads and stars.